Every month on the last Tuesday of each month Boondocks prepares a special event just for you including 4 Wines & 4 Courses – expertly paired and prepared by our chefs at Boondocks! 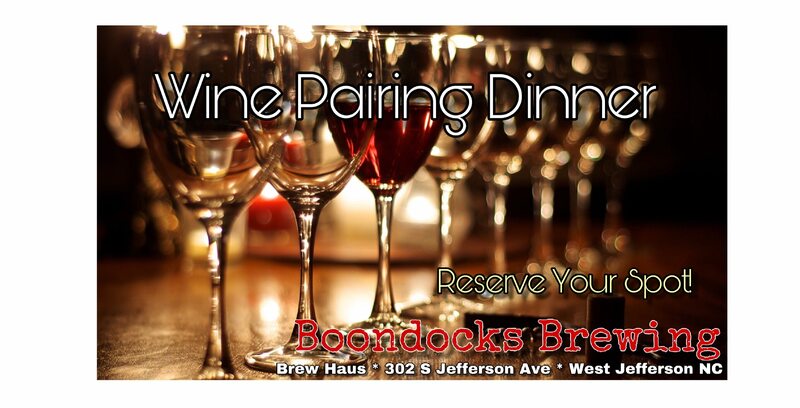 Come out and learn more about wine and enjoy our unique dining atmosphere at the Brew Haus. Get a group of your friends together or come out for a special night with your favorite person.